Thank for your interest and photo entries! The 2019 UC Davis Repro Graphics Made-to-Order Calendar Contest is now closed to any additional submissions. The top 6 — as evaluated by a panel of judges — will be posted on the UC Davis Arboretum and Public Garden's Facebook page by noon on September 14 for community voting. Check back soon! Don't miss any contest deadlines and don't forget to read the rules below. Entries due by 5 p.m.
Voting ends at 11:59 p.m. Calling all Aggies and photography enthusiasts! UC Davis Repro Graphics, in collaboration with the UC Davis Arboretum and Public Garden, is pleased to announce a photo contest in honor of Repro Graphics annual made-to-order calendar giveaway. It's a UC Davis tradition. Since 2010, Repro Graphics has offered a custom blend of data and images on calendars offered at no charge to our campus community as a promotion to highlight their in-house variable-data printing (VDP) capabilities. Each year, around October, Repro Graphics notifies faculty and staff about the availability of the made-to-order calendar giveaway. Recipients can choose a photo they like from a number of campus images and add any personalized dates such as birthdays and anniversaries. Upon receipt of all the requests, Repro Graphics prints and delivers the made-to-order calendar to each participant before the new year. To recognize this personalized printing achievement, the In-Plant Printing and Mailing Association bestowed Repro Graphics with a gold award in the VDP category and now Repro Graphics wants to celebrate with a photo contest! Showcase the beauty of the entire UC Davis Arboretum and Public Garden – the Arboretum, Putah Creek Riparian Reserve and all of our of gorgeous campus landscapes – by sending in photos (up to five) of your favorite campus spots. The prize? A chance to be one of the featured selections in the next Repro Graphics made-to-order calendar, a gift bag of UC Davis swag, a professionally framed print of your winning photo and last, but not least, exposure for your talent on the walls of cubicles and offices campus-wide! Submissions deemed complete will first be evaluated by a Review Committee, which will include a representative from Repro Graphics, a campus photographer, and a UC Davis faculty member. The evaluation will be completed based on the criteria below. Focus, sharpness, detail, depth of field, color, brightness, contrast, saturation, use of light. Creativity, how well it achieves the objective of the contest. Does the photo tell a story? Is there a visual hierarchy? How is one's eye led through the photo? After all other aspects are judged, how appealing is the photo? The Review Committee's top 6 choices will then be voted on via the UC Davis Arboretum and Public Garden's Facebook page beginning September 14 at noon. The top images will then be uploaded to an album on the UC Davis Arboretum and Public Garden's Facebook page on September 14 for general voting. Voting runs from when the album is uploaded on September 14 and ends on September 27. A positive vote consists of any Facebook reactions (“like”, “love”, “haha”, “wow”, “sad “or “angry”). The photo with the highest number of votes wins! READ THESE RULES COMPLETELY. Failure to follow every rule may disqualify the entry. Eligible entrants are UC Davis faculty and staff (current and retired) and students (current and alumni). 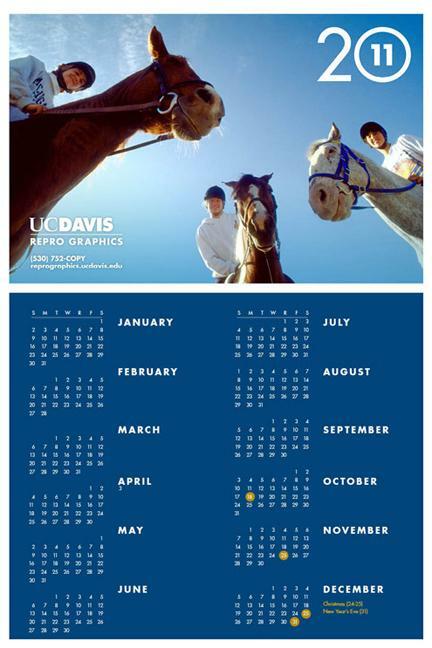 The UC Davis Calendar Photo Contest is open to professional and amateur photographers, provided they are affiliated with UC Davis in a capacity listed above. Photos must be horizontal images, at least 2760 pixels wide x 1874 pixels tall and in .jpg format. Entries cannot infringe on any copyrighted or proprietary ideas of others. Entries may not contain the following: alcohol, drugs, or any kind of illegal or inappropriate behavior. Entries that contain any inappropriate material will be disqualified. All submittals will become the property of University of California, Davis. If the subject of the photo is a person, a signed photo release will need to be submitted along with the photo. Entrants agree to be identified in the online voting contest and the announcement of winners and entrants; and have their entries be printed in the UC Davis Calendar and in other manners as deemed appropriate by UC Davis Repro Graphics. Entries must be submitted using the online entry form on the Repro Graphics website by September 5, 2018 at 5:00 PM. By submitting the entry form, entrants are agreeing to grant UC Davis the absolute and irrevocable right and permission to use, re-use, publish, and re-publish the photographs in displays related to the contest; in printed and electronic publications and in conjunction with any copyrighted matter, in any and all media now or hereafter known for illustration, promotion, art, advertising and trade, news, informational and educational purposes and to copyright the same, under its original name or otherwise. The entrant thereby releases and discharges the University from any and all claims and demands arising out of or in connection with the use of the photos, including without limitation any and all claims for invasion of privacy.